Well, if you're like me, you've probably had your fill of politics and the elections. So this morning, when my rep at Dover gave me these leads, it occurred to me it's time to have a little fun! If nothing else, just looking at these may provide some relief from all the hype! Barack Obama goes toe-to-toe with Mitt Romney in the presidential election's most unique collectible! The fate of our nation is at stake, and these two contenders are ready to slug it out until the bitter end. It's a big country with a diverse electorate, so the incumbent and his challenger will take on many roles on their way to Election Day. Each candidate's paper doll sports 16 outfits, plus accessories, from traditional suits with flag-pin lapels to basketball uniforms, boxing gear, and costumes for clowns, gladiators, cowboys, samurai warriors, superheroes, and other combatants. Is everyone ready? Then may the best man win! Who is the ringleader in American politics? Barack Obama? Newt Gingrich? Bill O'Reilly? Donald Trump? The frontrunners may change from day to day but there's no shortage of players. This highly collectible edition of 52 paper dolls for grownups takes a witty look at the current crop of Republican candidates, Democratic cabinet members, and pundits of every persuasion — all with rib-tickling outfits and accessories. Contains mature content. American politics is a circus — but now you can be the ringleader! 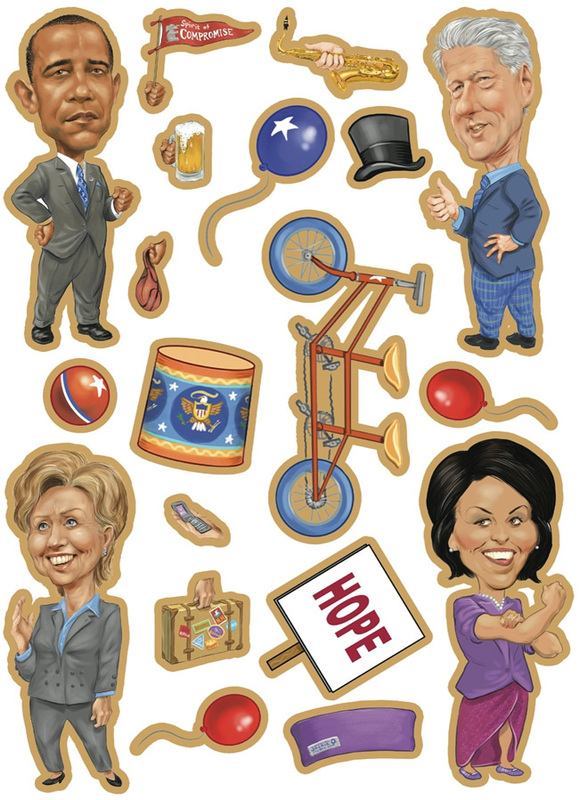 Help Obama, Gingrich, the Clintons, Romney, and others scramble for votes, influence, and popularity with this side-splitting super sticker book. 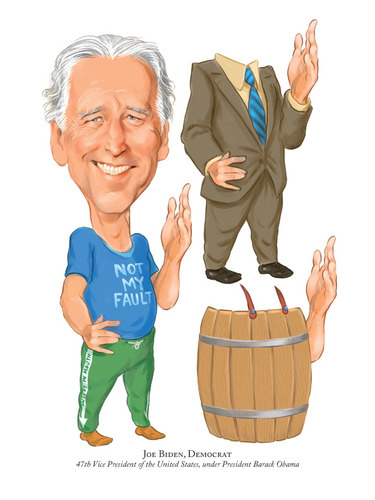 Humorous caricatures of all the presidential candidates, members of Congress, and other politicos and pundits include dozens of comical accessories, from a clown car to an elephant. Put them into play against two big backdrops for a nominating convention and a three-ring circus. Over 120 stickers. Contains mature content. 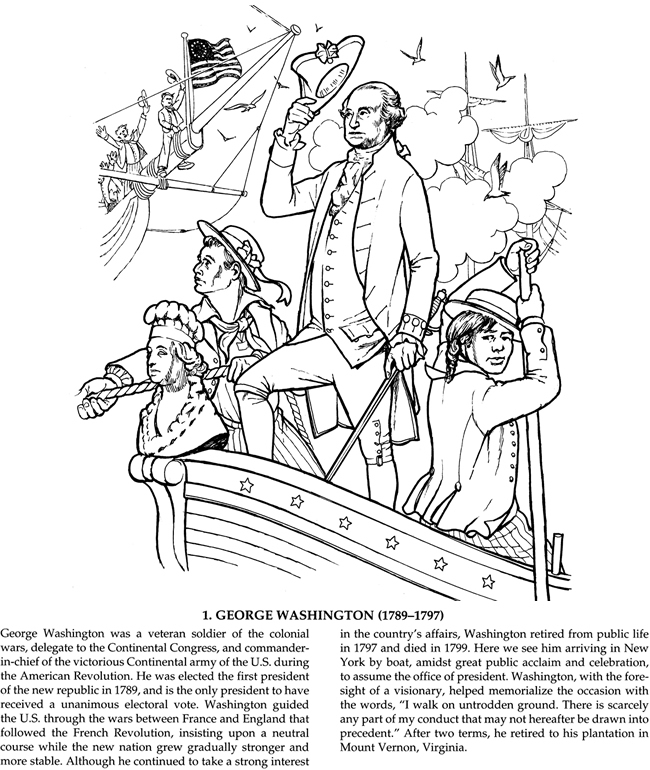 From George Washington to Barack Obama, this fact-filled coloring book chronicles the history of all 44 US Presidents. Each Chief Executive is depicted in an image drawn from real life, and most portraits feature backgrounds that reflect significant events from the president's administration. Every illustration includes a detailed caption, making this book a practical reference as well as a source of coloring fun. 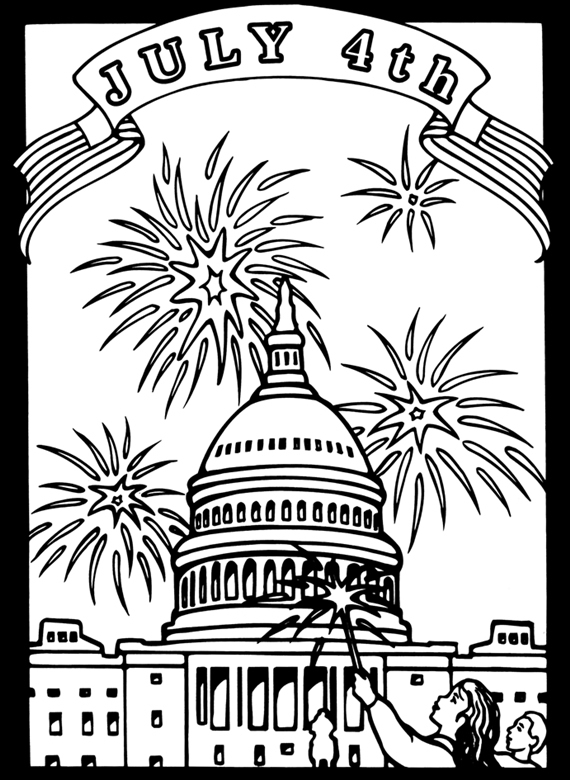 Sixteen boldly outlined drawings present a variety of patriotic images: the American flag and eagle, Liberty Bell, Statue of Liberty, White House, and Lincoln Memorial, Uncle Sam, among others. Ideal for home or classroom, these handsome pictures produce a magical glow when colored and hung near a source of bright light. So that should keep you busy for a while ... and maybe take your mind off spreading vicious rumors around Facebook. LOL . . . life is short, there are much bigger things to worry about. Take Donald Trump's or Hillary Clinton's clothes off . . .